Home » » Where does your change go? You could say the fountain is swimming in the money. $1 million a year in collected coins. That is a lot of free money just floating around. I would blame the Money Exchange, for the simple fact that they do not except coins. The change has to go some where. $12,000 a year, and uses a very efficient cleaning system. A giant vacuum is used to remove everything from the floor of the lake. $2,000 a month, which is donated to charities and nonprofits. The fountains at all 24 Rainforest Cafes make about $25,000 a year. he fountains in Disney World raised $18,000 in 2014, all of which was donated to children in foster care. That was an amazing gesture made by Disney for the foster children. $3,000 in change, despite the fact that people are not allowed to toss coins. The fountain at Bryant Park, meanwhile, collects about $3,400 a year, which pretty much just pays for the coin collectors. As people toss the coins in and make a wish, no one ever tells what the wish is. Most believe that the wish must remain a secret in order to become true. 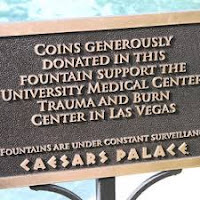 Where the money goes "is probably not first and foremost on people's minds when they throw (coins), but they are helping people to better themselves," says Maureen Crampton, spokeswoman for the Forum Shops at Caesars. 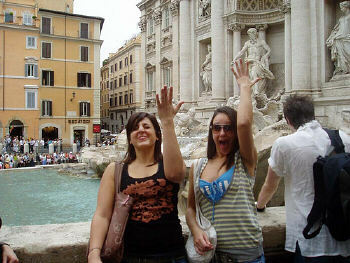 The shops have four fountains, including one on the street, that attract money like metal to a magnet. $10,000 a year on average, goes to the Simon Youth Foundation, which awards scholarships to kids with financial need or even parents who are pursuing a degree. This is wonderful how the money is given back to the community for scholarships. 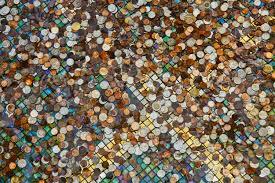 most of the coins has to be cleaned with vinegar and water in order to used. 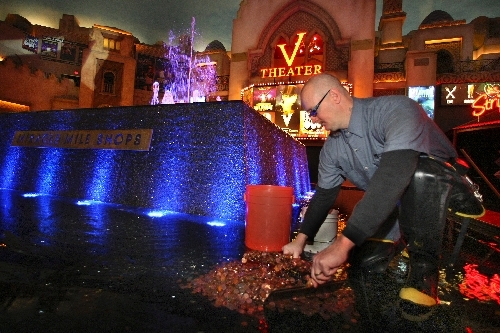 People throw coins into the volcano feature at The Mirage, the harbor at New York-New York, Bellagio's lake and various water features at Mandalay Bay and Luxor. The coins in the "New York Harbor" are collected once a year when operations staff members drain the harbor for New Year's Eve, Monet says. The money is cleaned and dried by the hard count staff in the casino cage and then donated to the Make a Wish Foundation. Bellagio's lake is cleaned every few months. The staff that maintains and operates the fountains built a giant vacuum that is used to remove everything from the floor of the lake, Monet says. They sift the money and then place it into a cement mixer along with some towels. The friction cleans the coins. Bellagio donated more than $12,000 taken from the lake last year, with much of the money going to Habitat for Humanity. Other resorts within the company donate fountain money to the company foundation. The money is dispersed to various nonprofits that apply for grants, Monet says. 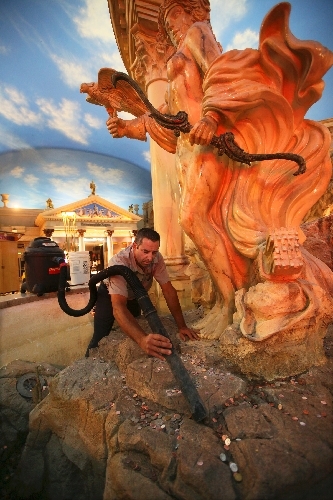 Two fountains in the Miracle Mile Shops at Planet Hollywood Resort yield thousands of charitable dollars each year. Opportunity Village and the Boys & Girls Club are two nonprofits that have received the mall's fountain money, says Russell Joyner, the mall's general manager. their goals through the gift of giving. This New Year has already started off in a good direction.